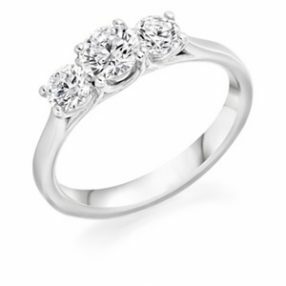 The Trilogy diamond ring as well as being a very sought after engagement ring is also the perfect anniversary gift, representing past, present and future. 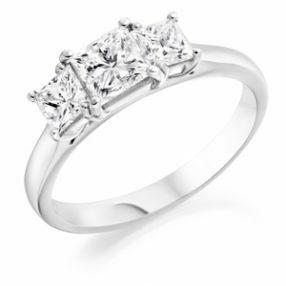 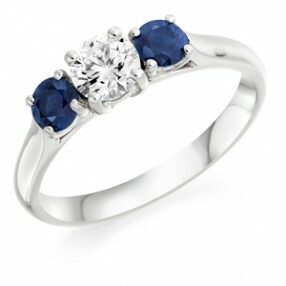 We provide all of our featured three stone diamonds rings with the reassurance of a G.I.A certificate for your piece of mind. 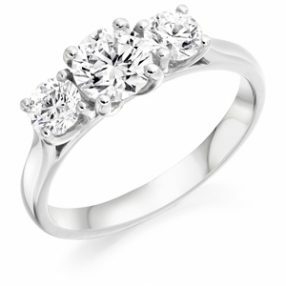 All of our three stone rings featured are available in store for you to come in and view, and are made up in various combinations of cut, colour, clarity and carat weight. 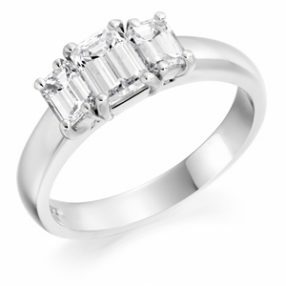 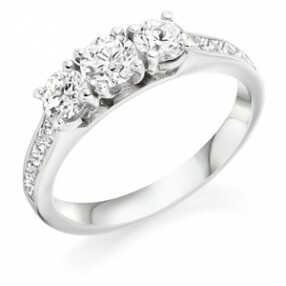 We also give you the choice of selecting your own diamonds for your chosen setting – please see our extensive range from our G.I.A Certificated Loose Diamonds stock for an idea of what we can do for you.